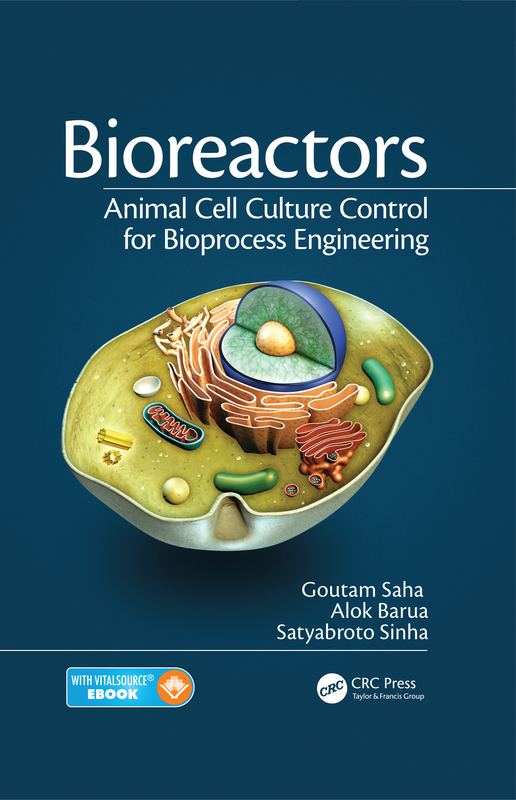 Bioreactors: Animal Cell Culture Control for Bioprocess Engineering presents the design, fabrication, and control of a new type of bioreactor meant especially for animal cell line culture. The new bioreactor, called the "see-saw bioreactor," is ideal for the growth of cells with a sensitive membrane. The see-saw bioreactor derives its name from its principle of operation in which liquid columns in either limb of the reactor alternately go up and down. The working volume of the reactor is small, to within 15 L. However, it can easily be scaled up for large production in volume of cell mass in the drug and pharmaceutical industries. The authors describe the principle of operation of the see-saw bioreactor and how to automatically control the bioprocess. They discuss different control strategies as well as the thorough experimental research they conducted on this prototype bioreactor in which they applied a time delay control for yield maximization. To give you a complete understanding of the design and development of the see-saw bioreactor, the authors cover the mathematical model they use to describe the kinetics of fermentation, the genetic algorithms used for deriving the optimal time trajectories of the bioprocess variables, and the corresponding control inputs for maximizing the product yield. One chapter is devoted to the application of time delay control. Following a description of the bioreactor’s working setup in the laboratory, the authors sum up their investigation and define the future scope of work in terms of design, control, and software sensors. Alok Barua received his bachelor of technology in instrumentation and electronics engineering, master of electronics and telecommunication engineering, and PhD in electrical engineering from Jadavpur University and Indian Institute of Technology (IIT) Kharagpur in 1977, 1980, and 1992, respectively. He is a full professor in the Department of Electrical Engineering, IIT Kharagpur. With more than 30 years of teaching experience at IIT, he has published many papers in his teaching and research areas, including instrumentation, bioreactor design and control, testing and fault diagnosis of analog and mixed-signal circuits, and image processing. He has supervised several MS theses and two PhD theses on bioreactor control and instrumentation. He also holds a patent for the design of the see-saw bioreactor and is a senior member of IEEE. Goutam Saha earned his BE in electrical engineering, his ME in electronics and telecommunication engineering, and his PhD in electrical engineering from Bengal Engineering and Science University (formerly known as B.E. College) and IIT Kharagpur in 1984, 1989, and 1999, respectively. He worked as a postdoctoral research fellow at Ben Gurion University, Israel, from January to August 2002. He is currently a full professor in the Department of Information Technology, North-Eastern Hill University, Shillong, India. He has more than 25 years of teaching experience in various engineering colleges including the National Institute of Technology (Durgapur), the National Institute of Technical Teachers Training and Research (Kolkata), and other government engineering colleges of West Bengal. Satyabroto Sinha (deceased) earned a PhD in electrical engineering from the Indian Institute of Technology (IIT) Kharagpur. He taught electrical engineering at IIT Kharagpur from December 1963 to May 2005 (professor, 1982–2002; professor emeritus, 2002–2005). He advised 13 doctoral students, coauthored several books, and published approximately 60 conference and journal papers, nationally and internationally. His area of specialization was instrumentation and control. He was a national coordinator for the Technology Development Mission on Communication, Networking and Intelligent Automation for the Government of India from 1995 to 2000 and was a senior member of the Institute of Electrical and Electronics Engineers and a chartered engineer and fellow of the Institution of Engineers (India).